The Russian Foreign Minister has revealed that there are no real differences on practical issues between the six-party negotiators and Iran. 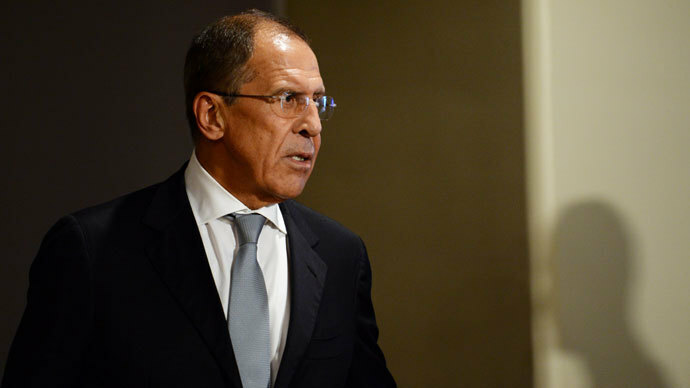 What is needed now is to set down our understanding in a document, Sergey Lavrov told the Russian TVC channel. “The negotiations with the Foreign Minister of Iran [Mohammad Javad Zarif] have confirmed that for the first time in many years the sextet of negotiators and Tehran are ready to truly seek common grounds instead of presenting mostly uncorrelated positions,” said the Russian FM in an interview to Postscriptum program. Lavrov said that negotiators on both sides have verified the areas of common interests and now there remain no principle differences in making practical arrangements. Russia’s Foreign Minister stressed that the understanding reached must now be fixed by diplomatic means so that it becomes a truly joint document, not imposed on anyone from outside. There is a chance to settle the Iranian nuclear problem because P5+1 [The five members of the Security Council plus Germany] is determined to find a solution with the new leadership of the Iranian Islamic Republic, believes Lavrov. “The Iranians say they need one year to clear the table of all the questions troubling the IAEA and thereby eliminate the reasons that caused the international sanctions,” Lavrov told the TVC channel, mentioning that he has discussed the Iranian nuclear program issue with the European Union foreign policy chief, Catherine Ashton. The Russian FM said that Moscow expects Washington and the UN to help encourage all parts of Syrian society to take part in the peace conference in Switzerland. “Despite a number of problems (with preparing the Geneva-2 conference) I remain optimistic,” Lavrov said, indicating that in late November there will be another preparatory meeting between Russian and American experts, the UN-Arab League envoy for Syria, Lakhdar Brahimi, and further participation of constant members of the UN Security Council, the Arab League and Turkey. The Russian Foreign Minister particularly underlined that the Syrian opposition’s precondition to attending the upcoming negotiations that President Bashar Assad must voluntarily quit from power is not realistic. Russia is calling to broaden the circle of parties which are to meet at the upcoming conference. Moscow is suggesting that foreign players influencing the situation in Syria should also be represented by Iran and Saudi Arabia, two countries whose interests come in direct conflict in the Syrian civil war, Lavrov said. “That’s particularly important because Iran is regarded as the leader of Shiite Muslims, whereas Saudi Arabia is the unquestionable leader of Sunni Muslims,” Lavrov said. Many Middle East conflicts have a definite inter-Islamic dimension and it is unacceptable to ignore the fact that there is dissent inside the Muslim world, between the Shiite Muslims and Sunni Muslims, and it “presents a colossal threat to the region and far beyond,” the Russian FM warned. Several days ago the Syrian National Coalition put forward a condition that at a certain point Bashar Assad must simply “disappear”, which is “a definite violation of the Geneva communiqué, which supposes no preconditions,” Lavrov said. “In order to look at ways to solve the issue, the parties should sit at the negotiation table and look into each other’s eyes – and only then search for a compromise,” the Russian FM insisted. Lavrov doubted that those members of the Syrian opposition who left the country a long time ago and are living abroad would find any reliable support inside Syria. The opposition inside Syria is extremely fragmented, consisting of groups that are not against cooperating with Assad, and then there are Islamic extremists and foreign mercenaries who want to see the president out of the game. “This should be done to gather members of the opposition at one table, so that they can try to understand why they’re unable to elaborate a common position on negotiating with the regime,” Lavrov said. The outcome of such a meeting cannot be predicted but such a chance cannot be missed, Lavrov noted. Russia suggested that representatives of all Syrian opposition groups get together in Moscow for an informal meeting ahead of the Geneva-2 conference. The idea was that opponents get a chance to speak to each other and understand why they cannot work out a common approach toward the planned peace talks. Only Syrians should decide the fate of their country, and so they should all be present in Geneva, Sergey Lavrov reiterated.